This Chrome OS-driven convertible notebook with a 13.3-inch touchscreen is up for pre-order with a price tag of $429.99 USD and will begin shipping next month. Acer announced the Chromebook R13 convertible back in August, and now this 13.3-inch machine is finally ready to hit the market. Pre-orders can be placed via a few retailers already, while shipments are expected to begin next month. For those who forgot the highlights of the Chromebook R13, here they are: 2.1 GHz MediaTek M8173C quad-core processor, 4 GB memory, and 64 GB internal storage. The 13.3-inch IPS touchscreen offers 1,920X1,080 pixels. As most other convertibles, it features a 360-degree hinge that allows its users to choose one of the four usage modes available - laptop, pad, display and tent. 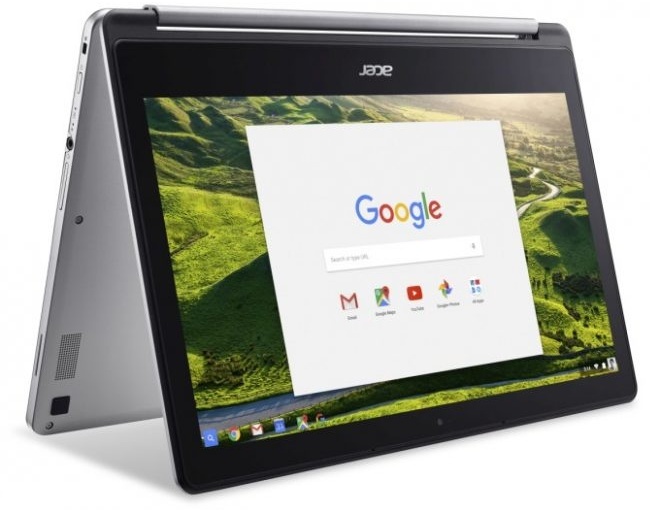 Sporting USB Type-C connectivity, as well as the ubiquitous WiFi, Bluetooth, HDMI, and USB 3.0, Acer's Chromebook R13 has excellent battery life - up to 12 hours. Acer Chromebook R13 is now listed by B&H for $429.99 USD, while PC Connection is currently receiving pre-orders for a 32 GB model priced at $405.48 USD.